ARTS MINISTER HEATHER Humphreys has said that an extra €2 million will be provided to support four National Museum of Ireland sites that had threatened closure. A former director of the National Museum of Ireland has said he believes the organisation has ‘no other option’ but to threaten to close because of ongoing financial difficulties. The threat came to light after RTÉ’s Morning Ireland obtained documents which also revealed that charging admission fees is also being considered. The four sites are National History Museum and Natural History Museum in Dublin city centre, Collins Barracks, and the Castlebar’s Museum of Country Life. The records of board meetings reportedly show that cash reserves have almost run out, and an extra €650,000 is needed in 2015. But this afternoon Minister Humphreys said her department has obtained the extra €2 million for the National Cultural Institutions as part of the Revised Estimates that are to be published later this month. Humphreys acknowledged that the institutions are facing “funding challenges” and says she has discussed this with them. “Our National Cultural Institutions are an essential component of our cultural fabric,” the minister said. Through their collections and exhibitions they make a huge contribution to our society. I am committed to prioritising and promoting the arts as our economy continues to improve. 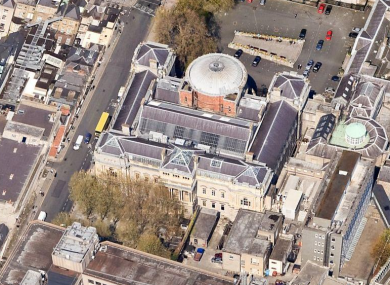 The National Museum of Ireland for its part had also earlier denied that a decision on the closure of sites or introduction of fees had been made. “The Museum’s four sites are and will remain open to visitors and entry to all Museum sites is free. The Board remains committed to the principle of free entry,” it read. The Board of the National Museum had discussed a number of options for cost saving in the context of addressing the financial pressures facing the Museum in 2015. Speaking to Morning Ireland, Pat Wallace said the board “have no option but to make the threat”, and wanted to spell out the reality of the situation. He also warned against the introduction of admission fees, the norm in other parts of Europe, and said they would only recoup “10% or so” of the running costs and would also incur administration costs. Wallace also said that although visitor numbers wouldn’t be particularly high in January, the museums form an important part of Ireland’s tourism economy. Humphreys herself is also opposed to charging for entry according to the Department for Arts, Heritage and the Gaeltacht. “Following regular engagement with the Department of Public Expenditure and Reform and Minister Howlin, I am now delighted to be in a position to deliver a considerable amount of extra funding for the Cultural Institutions for the year ahead,” Humpheys added this afternoon. Email “National museums closure threat recedes as minister provides €2m in extra funding”. Feedback on “National museums closure threat recedes as minister provides €2m in extra funding”.